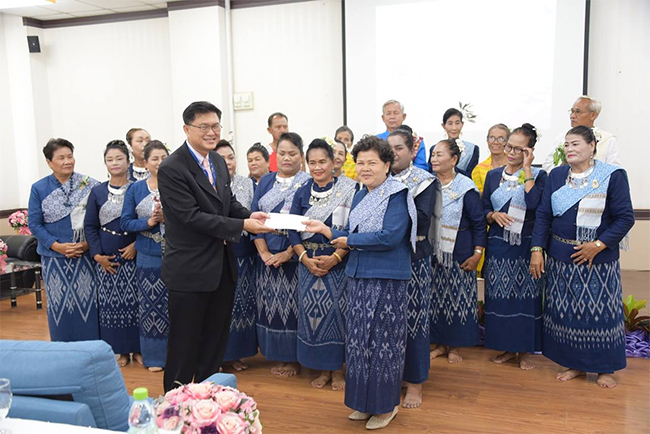 On June 8, 2018, the Faculty of Tourism and Hotel Management, Mahasarakham University, held the 5th National Academic Conference with the theme of “Isan Travel Connects Community, Sustainably Supports Local Tourism”. 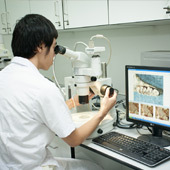 Prof. Dr. Sampan Rittidech, D. 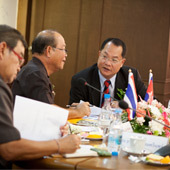 Eng., the president of Mahasarakham University, presided over the conference; and Dr. Kantimarn Chindaprasert, deputy dean for Academic Affairs and Education Quality Assurance, the Faculty of Tourism and Hotel Management, reported the message Mr. Weerasak Kowsurat, Minister of Tourism and Sports; he gave an idea about tourism development to extend the result of tourism and hotel management. 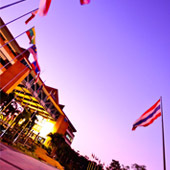 Dr. La-iard Silanoi, dean of the Faculty of Tourism and Hotel Management, Mahasarakham University, said that the conference has the collaboration between 3 institutions including the Faculty of Tourism and Hotel Management, Mahasarakham University; the Faculty of Management Science, Ubon Ratchathani University; and Tourism and Service Industry College, Nakhon Phanom University. 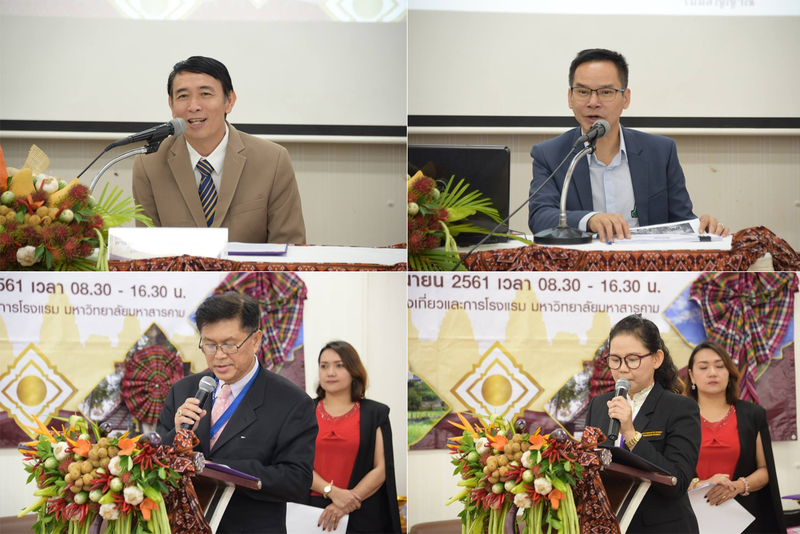 It was held for lecturers, students and researchers to present their academic projects and exchange knowledge and experience about Tourism and Hotel Management and other related fields. 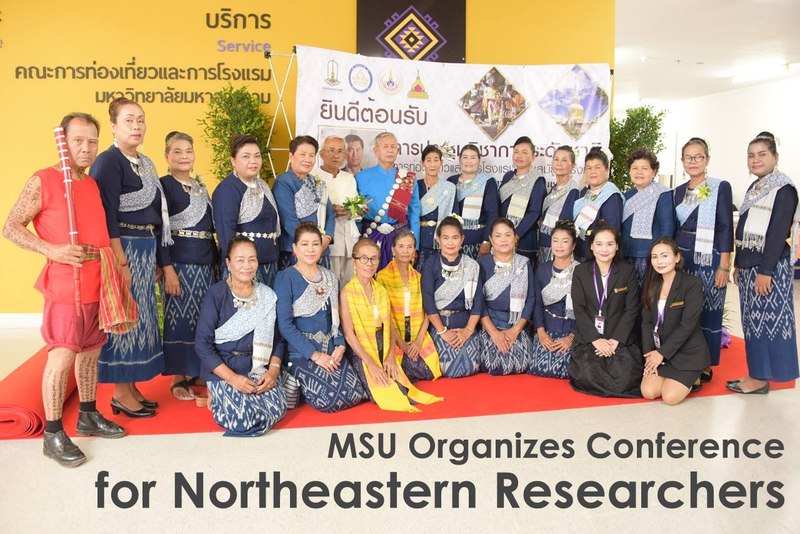 There was a lecture about “Isan Travel Connects Community, Sustainably Supports Local Tourism” by Assoc Prof. Dr.Pathom Hongsuwan, the director of the Research Institute of Northeastern Art and Culture, Mahasarakham University. 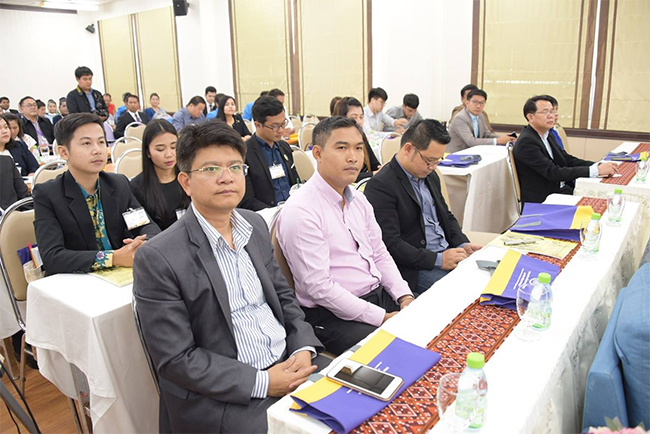 Moreover, Mueang Maha Sarakham District Office brought some OTOP products to the conference.